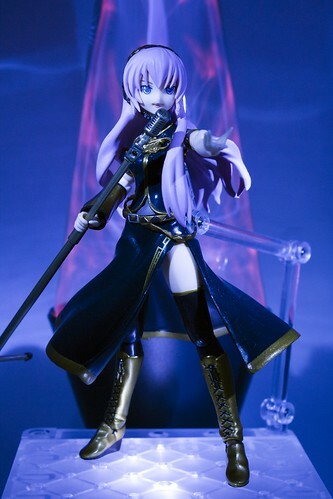 Review: figma 035: Hiiragi Kagami Cosplay ver. 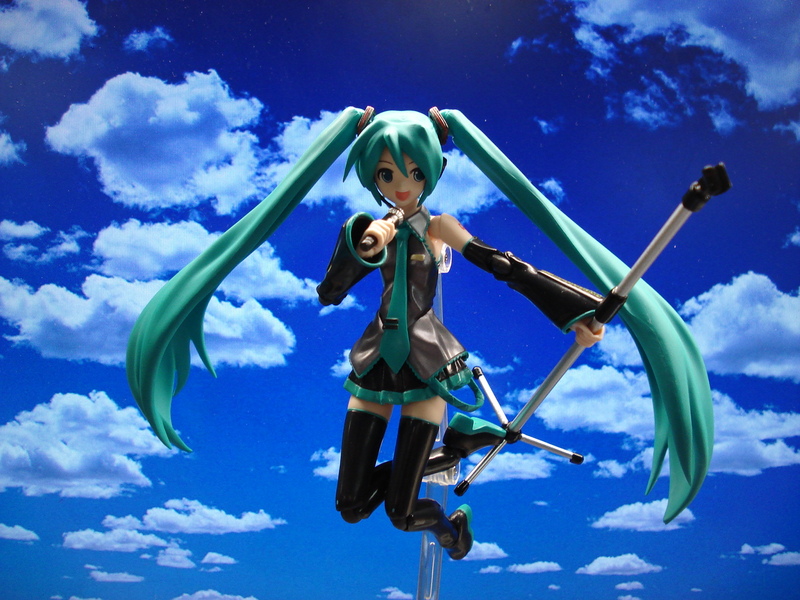 Published on June 3, 2009 in figma, Photo Box and Reviews. 4 Comments Tags: figma, figma:cosplay_kagami, figma:kagami, figma:miku, lucky star, vocaloid. 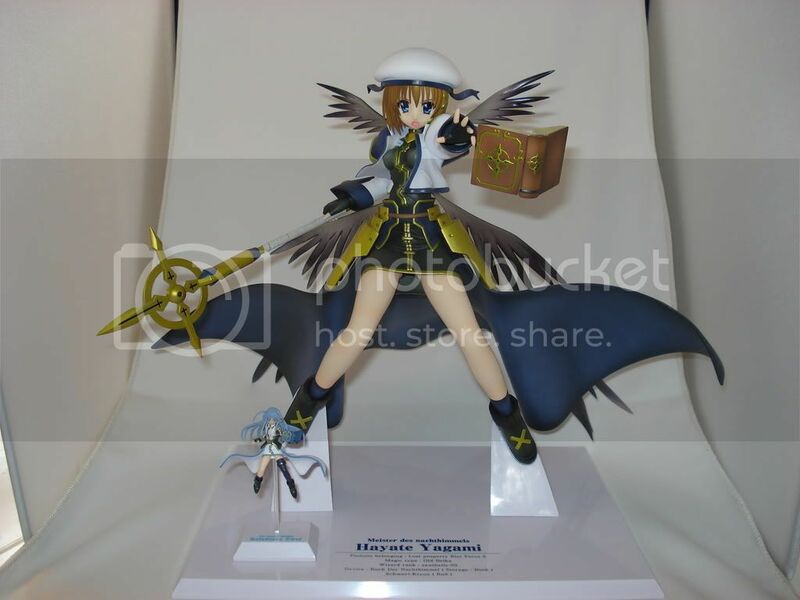 Published on February 15, 2009 in Alter, figma, Figures, Photo Box and Updates. 0 Comments Tags: Alter, figma, figma:fate, figma:hayate, figma:miku, figma:nanoha, figma:ryoko, figma:taniguchi, reinforce zwei, yagami hayate. A few images I took with my new photobox. I’m trying to get a better one with lights for use at home, while this one I’ll have stationed at work to snap new pics of stuff I get as I get it. Enjoy! 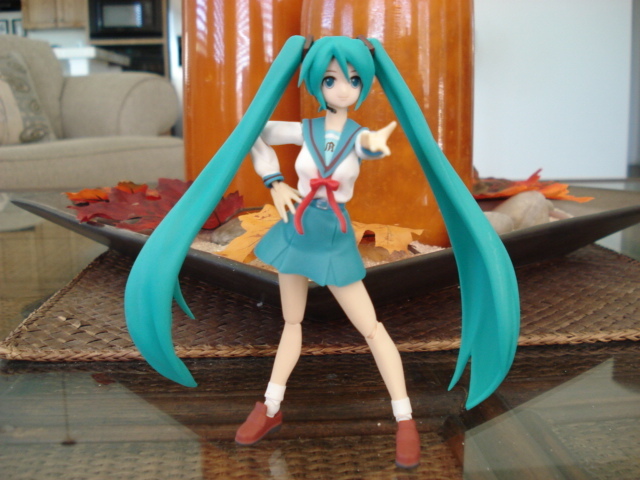 Published on October 29, 2008 in figma and Reviews. 9 Comments Tags: figma, figma:miku, vocaloid, youtube. 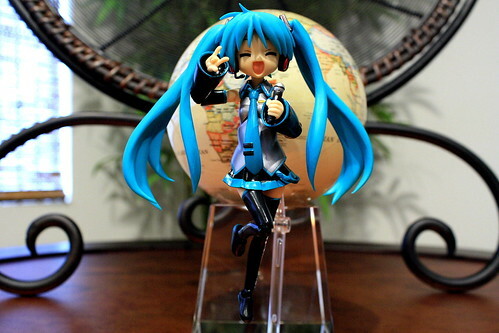 The last figma on my list is Hatsune Miku (初音ミク) from the Vocaloid series. I know she is much loved in the community, so I thought I’d do something special for her review and try out a new background method I’ve been fiddling with. Published on October 12, 2008 in figma. 0 Comments Tags: cosplay, figma, figma:fate, figma:haruhi, figma:miku, figma:mikuru, figma:nanoha, figma:rin, figma:saber. I was out with my figmas yesterday and Miku decided she wanted to play cosplay queen and try on some of my other figmas clothes. The Yuuichi-kun's figma Universe archives for the figmamiku tag.